C.S. 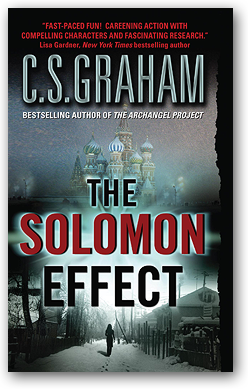 Graham is the pseudonym of former Army intelligence officer Steven Harris and bestselling author Candice Proctor. View the C.S. Graham thriller site. "[A] fast-paced political thriller [with] ripping action." The sudden, mysterious death of the vice president. When Iraq War vet October "Tobie" Guinness volunteers to remote view a priceless artifact looted from war-ravaged Baghdad, she unwittingly becomes the main target in the midst of a horrific bloodbath. Now a fugitive accused of murder, Tobie turns for help from her sometime partner, rogue CIA agent Jax Alexander. 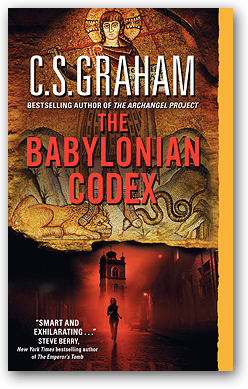 Ranging from a high mountain Moroccan kasbah and a medieval English church to a frozen Idaho lake, the two must race to unravel the secrets that link a long lost mosaic to a mysterious Biblical codex in time to stop a deadly cabal of wealthy, powerful zealots with a chilling plot to remake the world and bring on the Second Coming. "Fans of Dan Brown will enjoy the nonstop action, exotic locales and teasing give-and- take between Guinness and Alexander." A German U-Boat lost in the final days of the Second World War rested silent and dead in the deep waters off the Russian coast for more than half a centurycarrying a cargo too terrifying to contemplate. 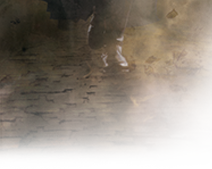 Now it has been found and its terrible treasure liberated...by those who would set the world on fire. A remote viewer working in top secret for the U.S. government, Tobie Guinness can "see" events occurring on the other side of the globe. But she and her loose cannon partner, CIA agent Jax Alexanderwho questions the validity of Tobie's "gift"have arrived too late to prevent a bloodbath... and perhaps the Apocalypse as well. Now every second brings the unthinkable a step closerand places Tobie and Jax in the gunsights of powerful enemies in frighteningly high placesas they race to connect the dots between an impending catastrophe and a nightmare cultivated decades earlier by Nazi scientists with an evil agenda about to become all too real. 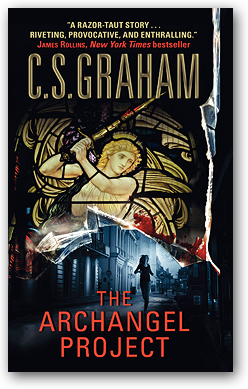 When the charred remains of Tulane professor Henry Youngblood are discovered in the burned-out ruins of his New Orleans offices, the CIA sends maverick troubleshooter Jax Alexander to investigate. Joined in a reluctant partnership with remote viewer October "Tobie" Guinness, Jax struggles to decipher a cryptic set of clues that leads from the devastated neighborhoods of New Orleans to the power corridors of Washington, D.C. Pursued by agents of a powerful oil and defense conglomerate with ties to the President himself, Jax and Tobie soon find themselves in a breakneck race against time to stop a ruthless killer and avert a diabolical plot that could devastate America.